I need to know if Carbide Motion would allow me to do this. I read that M7, M8 and M9 are accepted but ignored. Could I use M3 (spindle on) and M5 (spindle stop) for this?. If so, is there any danger to the spindle?. If it is possible to do it another way, say with M10 and M11 (vacuum on and off) what pins are used for this on the Arduino?. Yes. It does. I use it to turn the spindle on and off. Hey @mikep. Thanks for answering. Do you mean that your vacuum turns on and off with your spindle?. You are using M3 and M5 from the GCode to turn on and off your spindle and vacuum simultaneously, right?. Which pins are you using to connect to on the Arduino?. I don’t have a vacuum hooked up to it, but there are two sockets, one would be used for the vac, one for the spindle. I turn the spindle on and off with this, no problems. I see no reason it wouldn’t work. 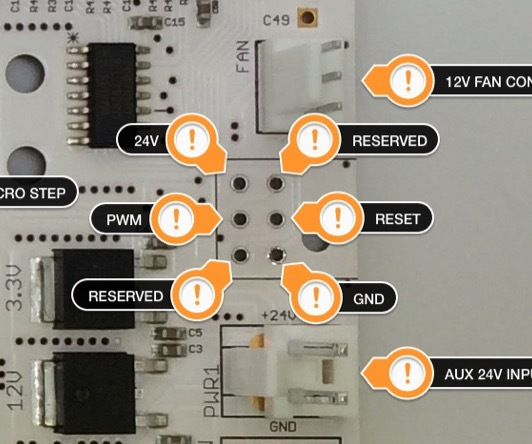 You need two wires, one from the “PWM” output on the board, and one from the “GND” pin. There is a socket on the side of the IOT switch they go into. You need to set the spindle speed to something (10000 works for me) to get it to turn on. I think there are a couple other posts around on how to set this up, but I don’t have time to look at the moment. Thanks for the info on utilizing the other pins for additional functionality. How does one enable the router to turn on from CM? Or there is another way/no way? So, using the IOT switch, that I have had, it would control both Router and Vac that are plugged into it? That sounds great, except when I just need to use the vacuum post CNC’ing. PS- I always appreciate your insight and advice. btw, my dust collection system is working well. I even attached it to another dust making device (disk/belt sander) which was very over due (so much cleaner)! I just need a stronger bucket for the Dust Deputy. The one I have been using is a bit distorted (now has a triangular cross section, instead of circular) I am thinking of using something to lower the vacuum strength by limiting the power to the vacuum (Fein Turbo 1). There was a discussion about using an off the shelf power limiter thing-a-ma-bob, I can’t find the post. There are “M” commands to turn it on and off. Pretty much every cam software will issue the on at the beginning, and off at the end - or at least, I haven’t found one that doesn’t. That will turn the switch on and off. If the vac is plugged into that socket, it’ll turn on and off. The IOT switch has a “normally on” and a “normally off” outlet. You would plug the router and the vac into the “normally off” sockets. 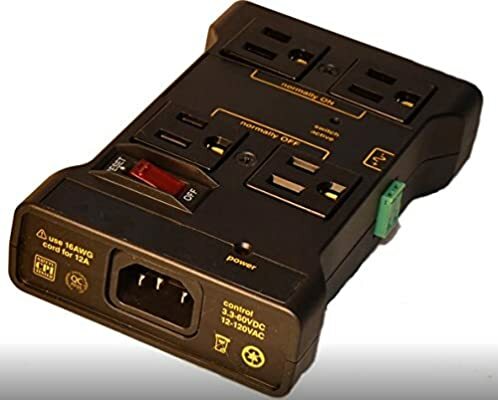 …use the vac when not using the router - that’s a lot more complicated and requires some more sophisticated electrical setup that is going to be difficult to explain this way. @azbrewer has the basics in his post, so I won’t go there. I made a boiler plate for the top of my 5 gallon Home Depot bucket and that helps. The other thing I’ve seen people do is take a second bucket, cut the top few inches off and put it inside the current bucket to give it more strength. I also use the Fein Turbo I. I can make the bucket implode if I plug the hose, but it doesn’t do it during normal running. Festool (and other?) vacuums actually have a plug and switch to enable this. My Fein does as well, but I don’t use it. First reason is stuff escapes the dust boot occasionally and needs to be vacuumed up by hand, don’t really want to run the spindle just to vacuum, and it isn’t any more convenient to go switch modes on the vacuum than to turn it on/off by hand. Second reason is I power everything except my vacuum from a power supply with battery backup, so it just won’t work for me. Flipping one switch to make two switches imho is more of a novelty than anything else, unless your vacuum is just really hard to reach, like in a sound deadening box or something.